Be cute with this 9ct gold heart style design with heart set shoulders for added glamour. A style that's totally unique. Ring Size J. 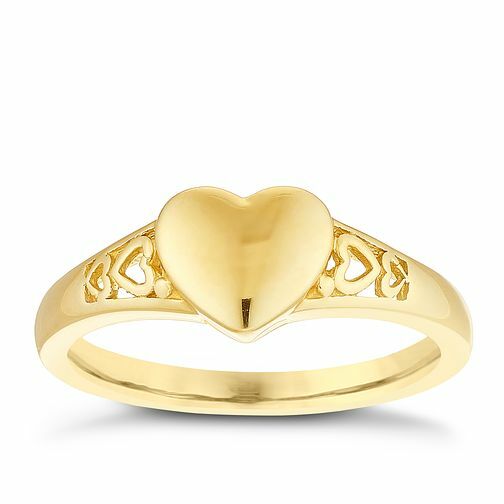 9ct Gold Heart Ring Size J is rated 5.0 out of 5 by 1. Rated 5 out of 5 by Anonymous from Happy customer Quick delivery great quality lovely ring very happy customer.